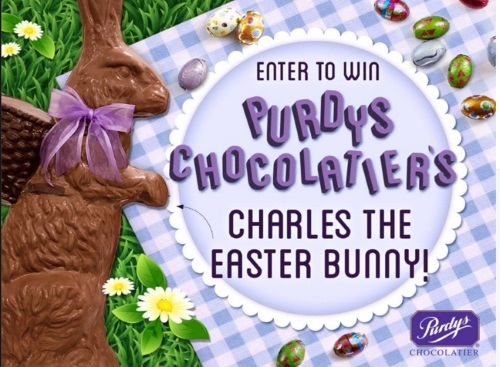 Purdys Chocolatier has a contest for Easter coming up! Enter to win Charles the 3' tall 26 pound Easter bunny! Contest closes March 22, 2016.